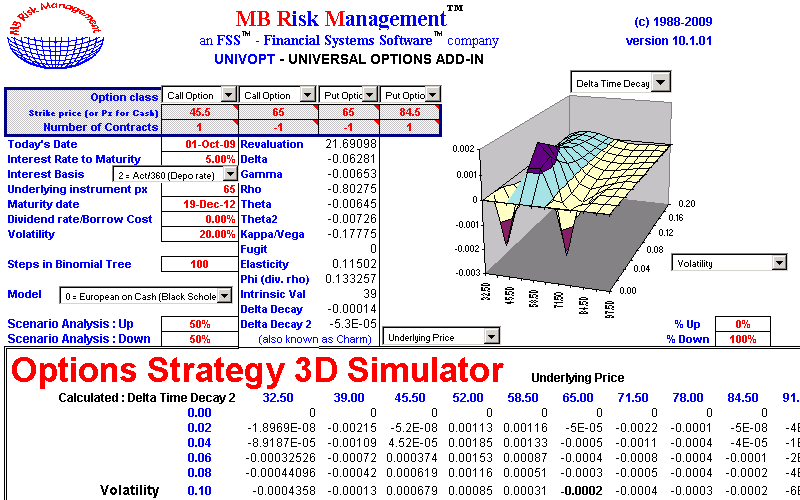 UNIVOPT is regarded by many dealers and risk managers as the industry standard option pricing and risk management system. 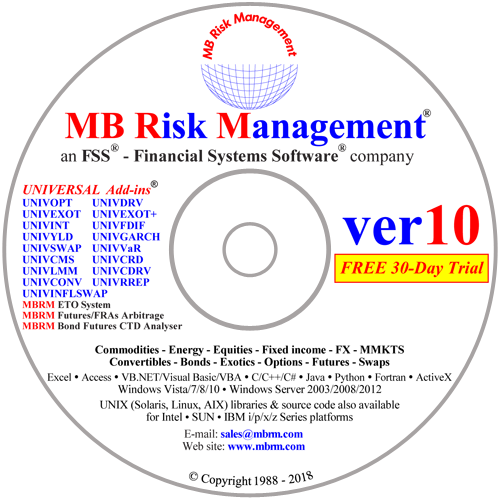 Amongst the new features are 6 new models. 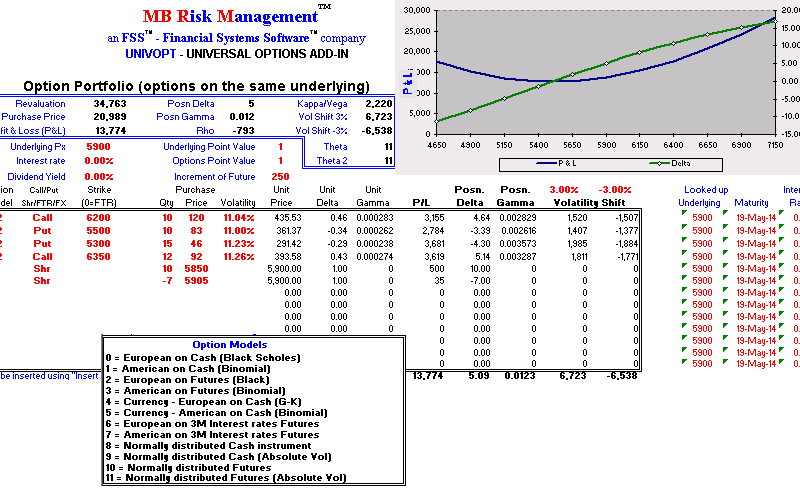 The options add-in calculates option prices and implied volatilities using the Black, Black-Scholes, Garman- Kolhagen, Cox-Rubinstein (binomial) models, as well as proprietary models for normally distributed underlying instruments. 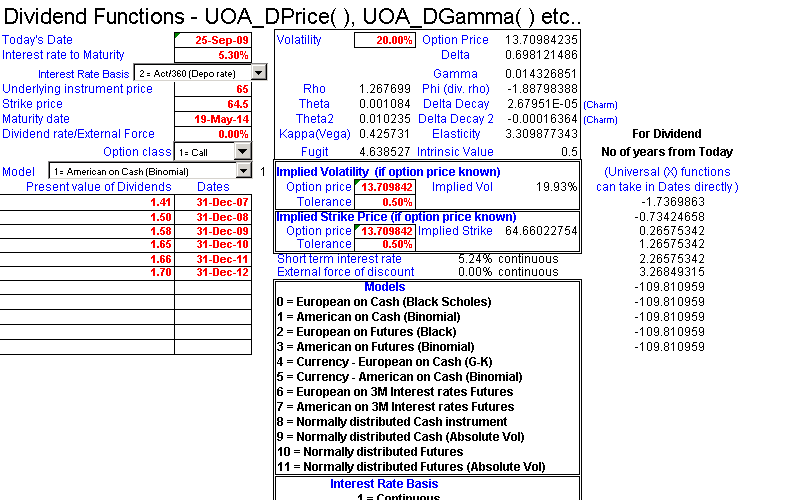 UNIVOPT handles European and American style options on bonds, commodities, currencies, futures (including 3M interest rate futures) and shares (including constant dividend streams and discrete dividend payments). It also calculates sensitivities, such as delta, gamma, fugit, kappa (vega), rho, theta and theta2. 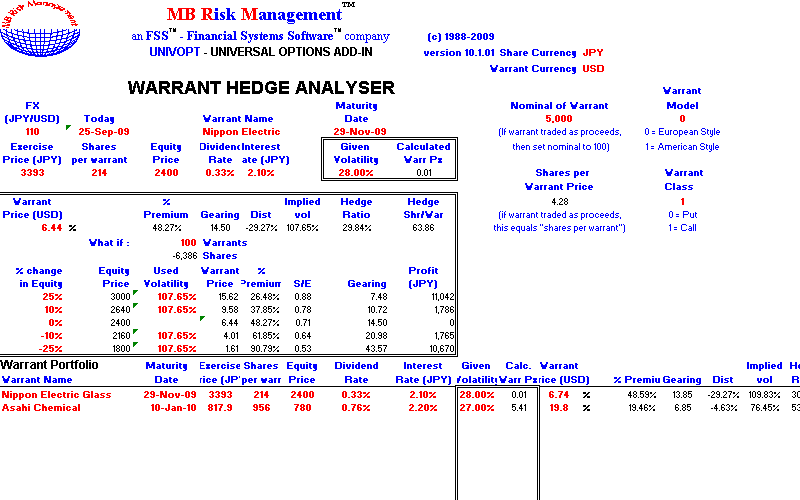 UNIVOPT also contains a warrant pricing function which takes into account dilution (which is very useful when analysing warrants about to be issued by companies on their own stock). 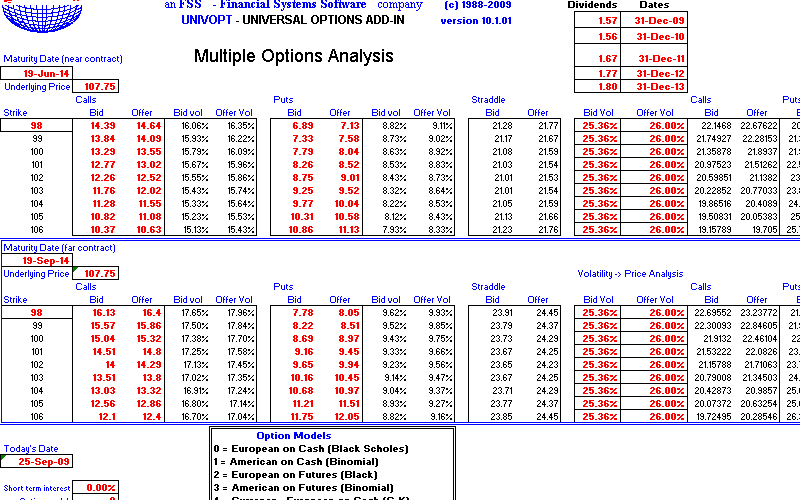 UNIVOPT enables the production of pricing matrices, risk return profiles and implied volatility analysis for either individual options or portfolios.